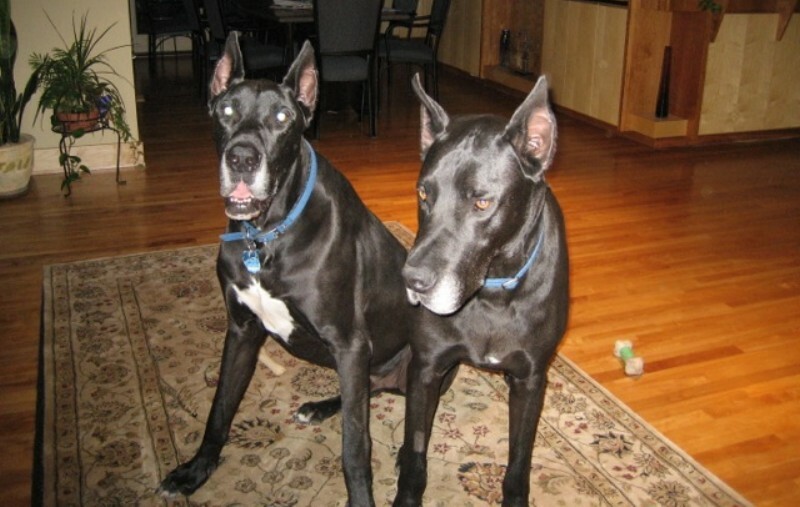 Apollo and his littermate Thor lived with Wendy Baldinger and family in the Twin Cities. Thor died at 6 1/2 and Apollo at 9 1/2 years from different forms of cancer. Thor was the one with the large white spot. Apollo and Garrett were "cousins," related by way of the extended family tree of their two-legged companions.